Pain is something that makes everyone of us uncomfortable. It does not matter in what form it comes, there will be a sense of unpleasantness every time. But this pain also tells us something. It tells us that there is something wrong with us which needs immediate attention. You can call pain a blessing in disguise. If we won’t feel any pain, then how can we know that there is something wrong with us? The most important thing to understand during this time is that it should not be ignored at all. Pain may not be of high intensity but it can be a sign of something grave. When it comes to our brain, then no two thoughts should be spared for treatment. There may be chances that some serious issue is in our hand and the only way to solve that issue is to confront it. Some of the grave diseases such as Alzheimer’s disease, Parkinson’s disease etc. are completely solved with the help of brain surgery. At IBS hospitals, there are different surgeries such as Gamma Knife surgeries, Brain Tumor surgeries, Epilepsy surgeries etc. that are handled by qualified surgeons. Due to office work, our back gets affected which is the main reason for that kind of pain. Various spine surgeries such as lumbar fixation, anterior cervical Discectomy etc. are complex surgeries and needs expert advice which you will get best only at IBS hospitals. 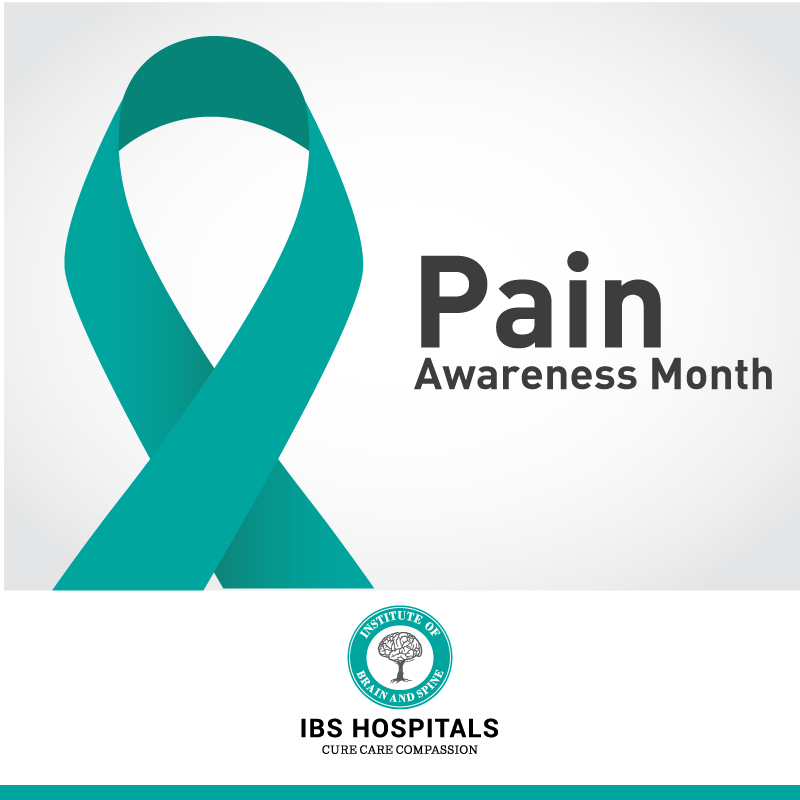 To get aware about this pain, the month of September is considered as pain awareness month so that we can reach out to people that are suffering from excruciating pain and help them.